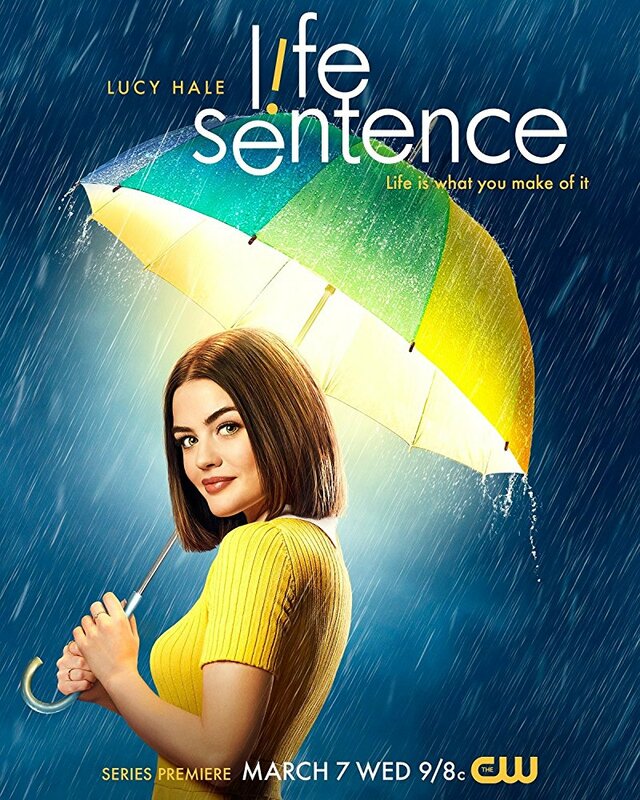 Lucy Hale, aka Stella, is holding a YELLOW UMBRELLA. Long time fans of How I Met Your Mother would recognize this as the timeless symbol of the mysterious and elusive figure in the series known only by the name of "The Mother." For years we questioned, we analyzed, we discussed: Who is The Mother? Have we finally got our answer? 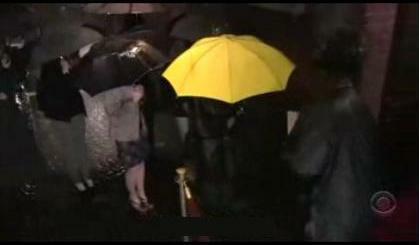 The yellow umbrella was a huge clue introduced in the episode titled, "No Tomorrow." WILD. In my previous post, I was just talking about how Life Sentence and the beloved-but-cancelled-CW-TV-show, No Tomorrow, are so similar with themes of living your life to the fullest. Coincidence? I THINK NOT. THE CW, I AM ON TO YOU. Anyway, the yellow umbrella belonged to a mysterious woman. The fandom was afloat with theories that stated that the Mother might die by the end of the series which would make Ted and Robin endgame. During How I Met Your Mother's final season, they were given a heartbreaking clue. The Mother remarks in an episode titled, "Vesuvius" , "What mother misses their daughter's wedding?" AND THEN TED LOOKS SAD AND CRIES. I was shook. Everyone was shook. Later on in the season finale, our fears were confirmed. The Mother is sick and dying. Stella WAS sick and dying. TWO YELLOW UMBRELLA LOVERS WHO FACE SICKNESS AND DEATH? What if the sickness The Mother faces IS cancer? What if these two people are the same EXACT PERSON? Later on it is revealed that The Mother is portrayed by Cristin Milioti. She is a cute, petite, brunette girl - guess who else fits that same criteria?!?!?! 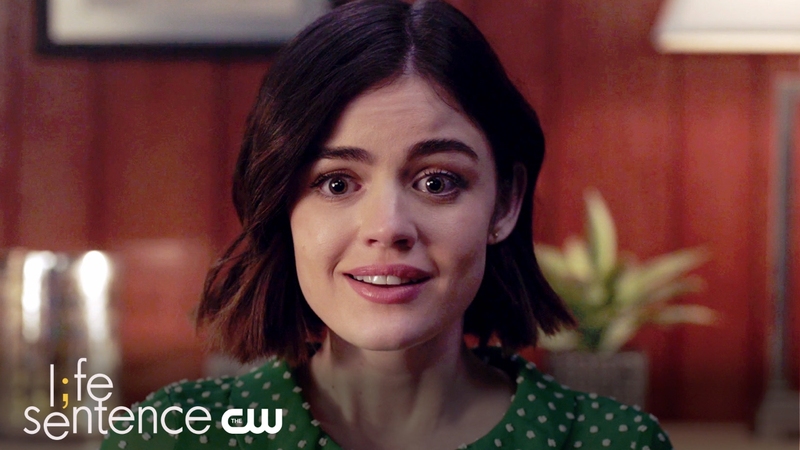 It's Stella from Life Sentence. The similarities between these two women cannot be any more obvious. I know what you are thinking - there are a lot of holes to my theory. You might say, "But The Mother's name is Tracy!!! That's no where near Stella." Or you may say, "If The Mother is Stella then does that mean Ted Mosby is Wes?" Ted did say, "Because... I love you. I'm always gonna love you. 'Til the end of my days, and beyond," in the episode titled, "The Time Travelers." Didn't Wes JUST say that in the pilot of Life Sentence? Wes says, "I was always going to love you for the rest of my life." BOOM. COUNTERED YOUR ARGUMENT. Anyway, thanks for reading this crack-post. I had fun writing it!! Let me know if you remember How I Met Your Mother in the comments.